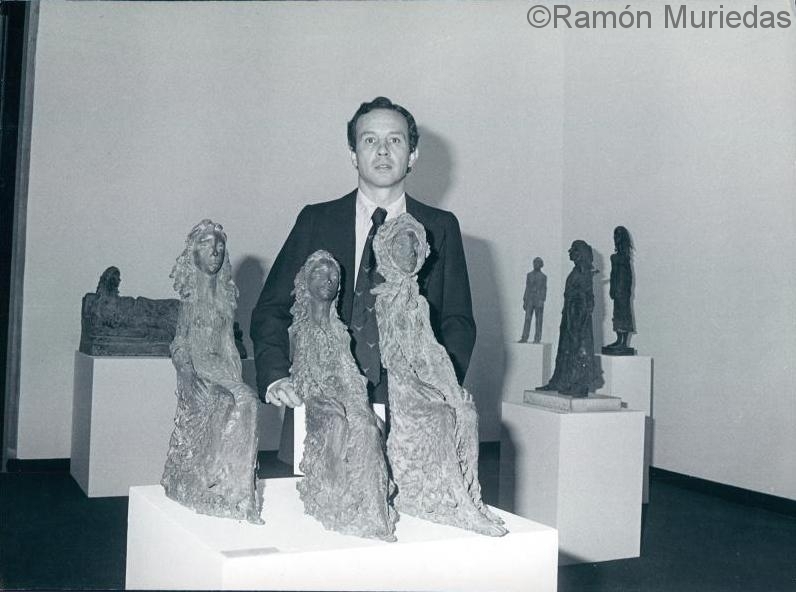 He exhibits his sculptures in the Spanish Pavilion of the World Fair in New York. Collective exhibition in the Sala Abril de Madrid. Third Medal of Sculpture in the National Exhibition of Fine Arts that takes place in the Palacio de Cristal del Retiro and Palacio Velázquez. The Reina Sofia National Art Museum acquires the work “Mujeres Melancolicos”. JUAN MARCH Foundation scholarship, which allows you to travel through different countries in Europe and learn about the work of internationally renowned artists. He makes his first solo exhibition at the El Bosco Gallery in Madrid, with great sales, public and critical success. Detail “Mujeres Melacólicas” in the process of restoration. Photo courtesy of the Reina Sofia National Museum. Madrid. 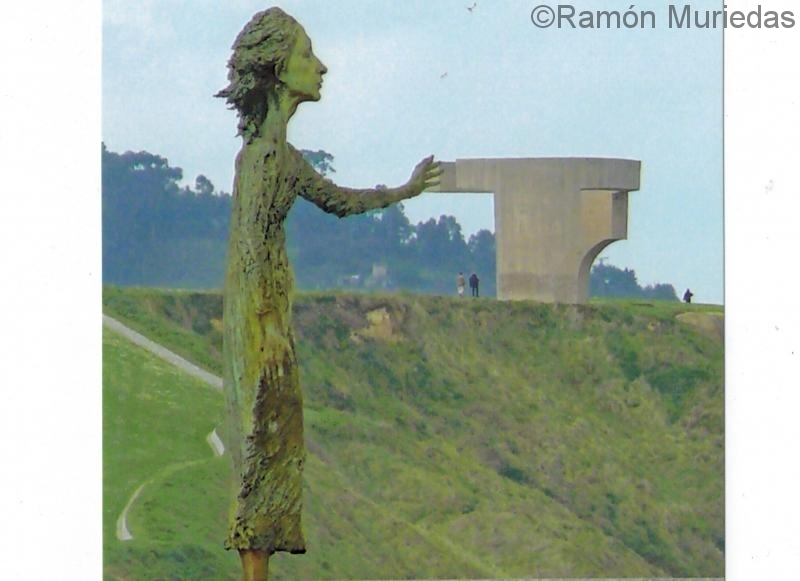 It receives the order to realize the Monumento a la Madre del Emigrante on the part of the City council of Gijón, the Asturian Government and the National Institute of Immigration. The work will be inaugurated a year later, causing great impact due to the advancedness of its formal language. 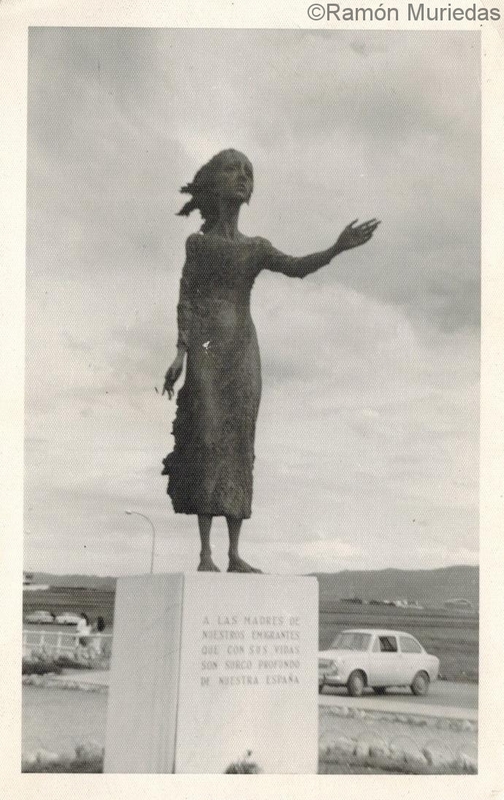 Monumento de La Madre del Emigrante at the time of the opening in 1970. Madre del emigrante ( Ramón Muriedas) at present and Elogio del Horizonte (work by Eduardo Chillida), in the background. Emblematic sculptures of the physiognomy of Gijón. Dialogue between both sculptures of those who were friends in life. 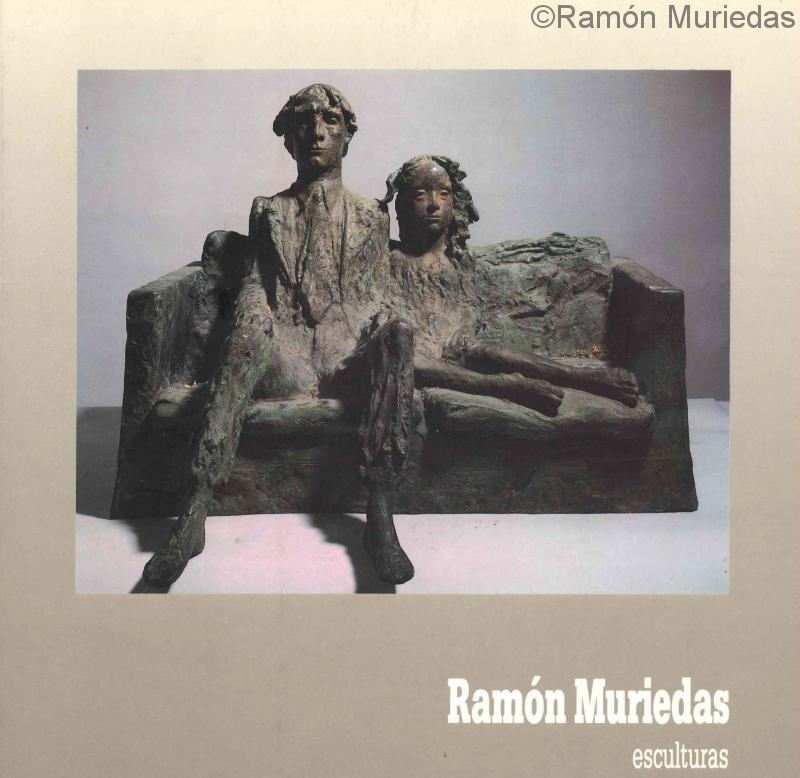 Participates in the International Exhibition of European Sculptors “El pequeño bronce”, National Museum of Contemporary Art, Madrid. 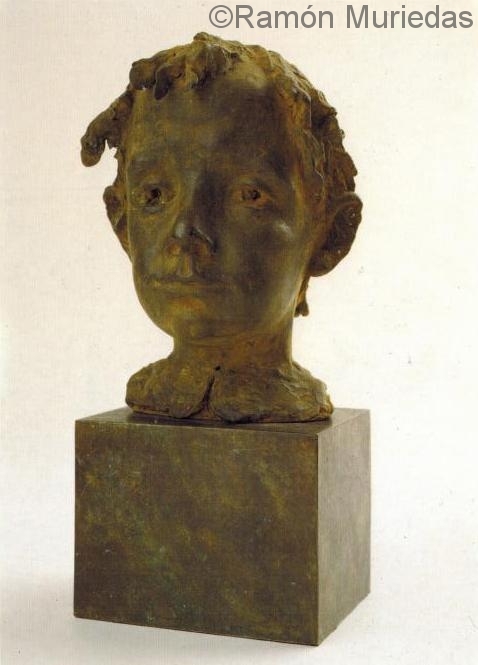 After a successful exhibition in the main cities of the country, he was appointed member of the Academy of Fine Arts of Brazil – artists of the stature of his admired Henry Moore, who had previously been decorated with this award. The ceremony was attended by the Director of the Academy of Fine Arts of Brazil, His Excellency Mr. Henrique Don Paulo Bahiana who presented the diploma, the Director of the Museum of Contemporary Spanish Art, His Excellency Mr. Luis González Robles and the Director of the Royal Academy of Fine Arts. Artes de San Fernando, His Excellency Mr. Antonio Fernández Curro, the National Radio Director of Spain and other personalities related to the world of art and culture. 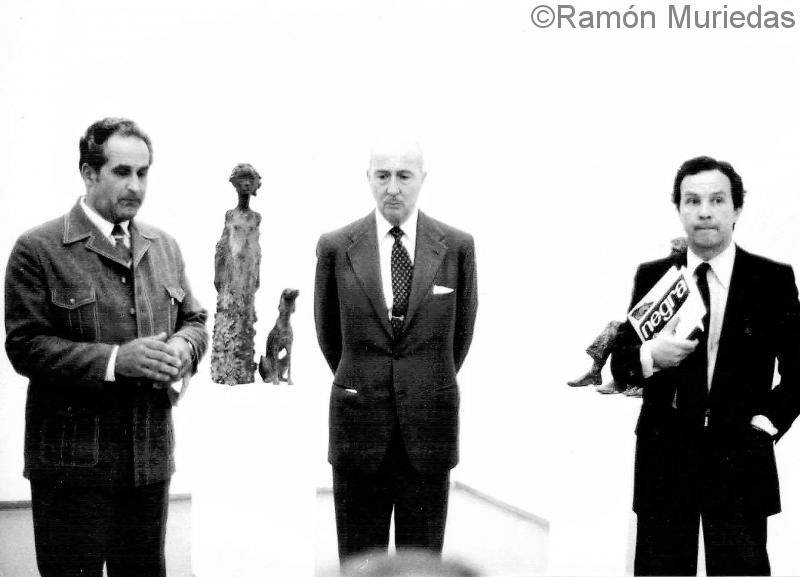 The Director of the Spanish Museum of Contemporary Art, Don Luis González-Robles, in the center, reads the speech for the appointment as academics of Fine Arts of Brazil in Spain to the painter, His Excellency Mr. Fernando Calderón López de Arroyabe and to the Excmo Mr. Don Ramón You die. 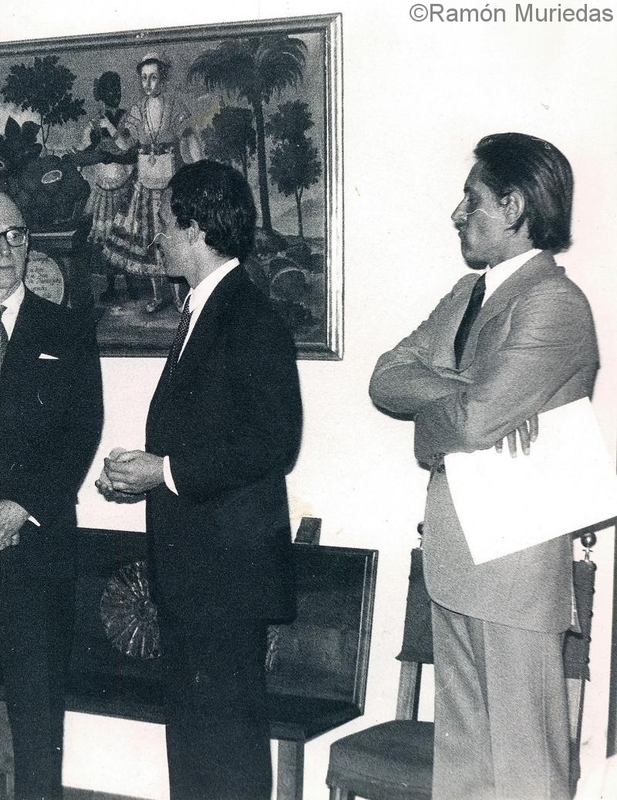 In the center, HE Mr. Ramón Muriedas and His Excellency Mr. Fernando Calderón, together with the Director of the Museum of Contemporary Art, present Reina Sofia, Mr. Luis González Robles. 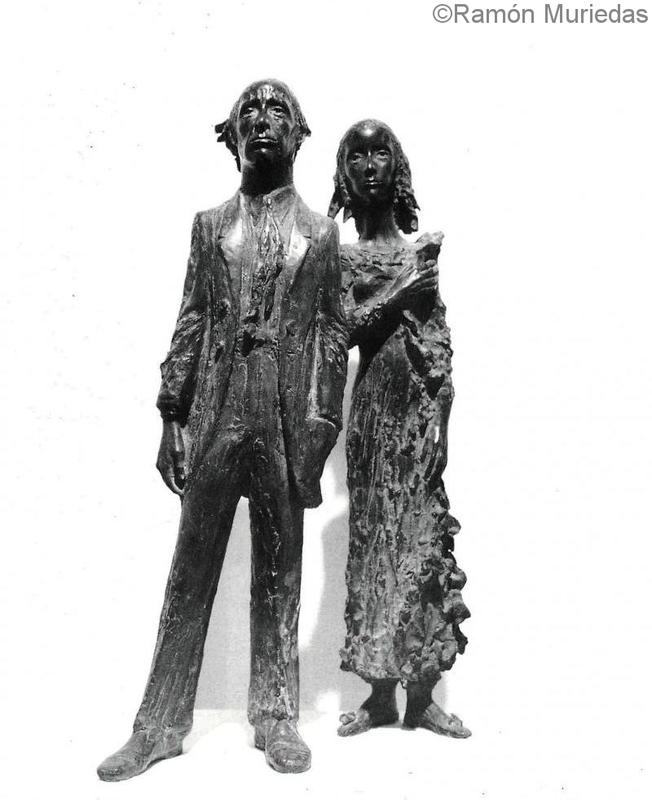 Prize in the National Small Sculpture Contest of the Valladolid Museum. Participates in the V Biennial of International Art City of Ibiza. Participates in several group exhibitions in galleries and institutions from different points of our geography: Antonio Machado Gallery, Madrid; Duran Gallery, Madrid; collective: Metal in Art, Valencia; Gallery Chamber of Commerce of Santander. Participate in the International Art Fair of Hannover. Make the Monument to Santo Toribio de Mogrovejo. Mayorga de Campos. Valladolid. Make a statuette for the National Theater Awards. Group of heads owned by the US Government. Second Prize at the International Art Biennial of Alexandria, in which he participates with eight works. Participates in several contests and collective exhibitions: “Arte al aire libre”, Madrid; Art Biennial of Málaga; Arte Abierto, Madrid; Bética Gallery, Madrid. Collective exhibition in Cologne and Munich. Individual exhibition at La Casa del Siglo XV in Segovia, with great success of the public and critics. Article in the ABC where mention is made of the medal in the Alexandria Biennial and the winning piece, Man and woman sitting on a sofa. 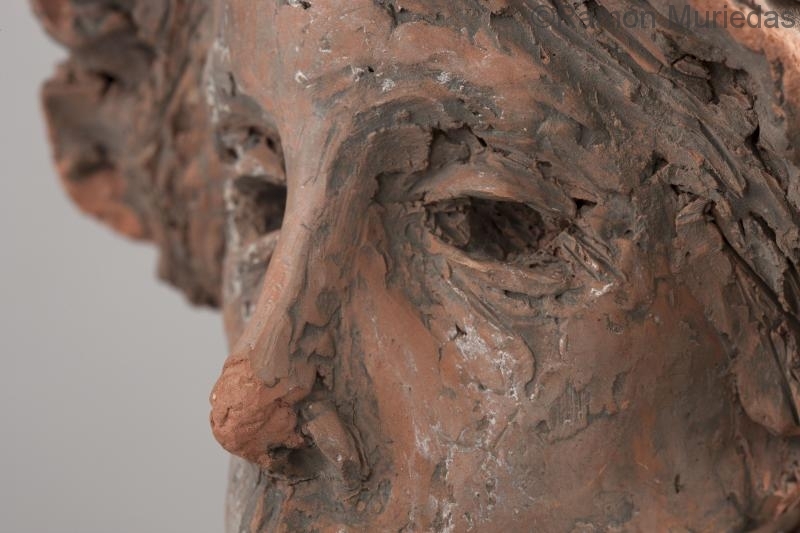 Collective exhibition: Pablo Serrano, Millares, Muriedas and Dubuffet at the Propac Gallery, Madrid; participates in the Art Biennial of Santander; Collective exhibition “Reality II”, which travels through the main galleries of Madrid at the time. Collective Exhibition in the Exhibition Hall of the Bank of Bilbao, Torrelavega. First Prize at the Valdepeñas International Art Biennial. This award had previously been obtained by prestigious sculptors such as Pablo Serrano or Martin Chirino. Arte Expo, collective exhibition in the Palace of Montjuich, Barcelona. Participates in the Art Biennial of Guadalajara and in the Homage to Manuel de Falla, held in Madrid; collective exhibition in the Piquío Gallery of Santander. He is named “Montañés del Año” at the Ateneo de Santander. He receives a prize from the Diputación de Santander for his work of restoration and conservation of the Casa-Palacio del Siglo “XVII,” La Hondal “that he owns in the Pasiegos Valleys, whose project he designs and executes completely aided by local workers. Traveling exhibition by different countries of America “New Names of Spanish Art”: Chile, Argentina, Colombia, Venezuela, Peru, Brazil, Ecuador, etc. Participate in different collectives: Galería Serie, Madrid; Red and Black Gallery, Madrid; Laubie Gallery, Paris. Individual exhibition for the gallery Ynguanzo at the International Contemporary Art Fair (FIAC), held at the Grand Palais in Paris. Participates in the European Sculpture Triennial held in the Gardens of the Palais Royal in Paris. Individual exhibition, Sala Artis, Salamanca. Collective exhibitions: “Homage to Venice”, Ynguanzo Gallery, Madrid; Collective Exhibition of Contemporary Art in the Exhibition Hall of La Casa de Campo, Madrid; Seiquer Gallery, Madrid; Contemporary Art Fair Montjuitch Palace, Barcelona; Rúa Gallery, Santander; Sala Artis, Salamanca; Lassaletta Gallery, Barcelona. Participate in “Panorama 78”, a collective exhibition of Contemporary Art at the National Museum of Contemporary Art, Madrid. Accésit at the Centenary of the Circle of Fine Arts of Madrid, in which the most recognized artists of the country participate. This year, UNICEF commissioned a monument of free nature as a tribute to children. For this purpose he will make a singular “Neptune Child” – popularly known as “El Niño Pez” -. 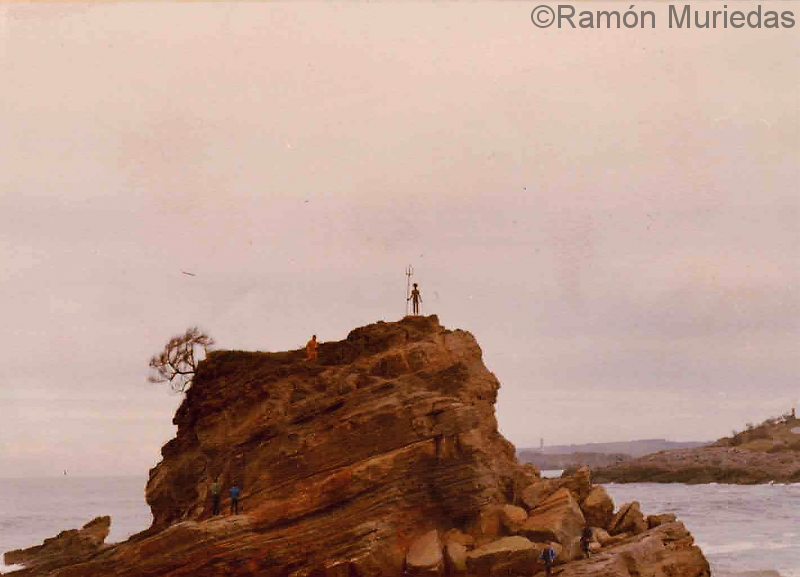 It is a sculpture of stylized profile and delicate execution that decides to place on the promontory of Playa del Camello, one of the places that he climbed during his children’s games. Collective exhibition in the Serie Gallery, Madrid. Individual exhibition at the Ynguanzo Gallery, Madrid. Photo of the Neptuno Niño after its inauguration. Inauguration ceremony Neptuno Niño. 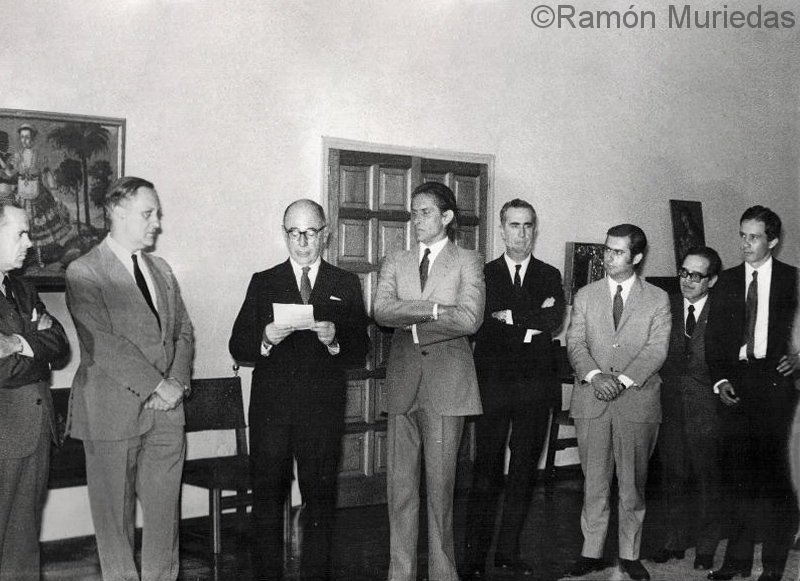 Ramón Muriedas Ramón Muriedas appears in the center next to the authorities. Retrospective exhibition in the rooms of the National Library. Without the Reina Sofia Museum still, said Halls become the museum reference of the Directorate General of Heritage together with the Crystal Palace for the exhibitions of consecrated artists of the national artistic panorama. First Prize in medals of the Mint and Stamp Factory. 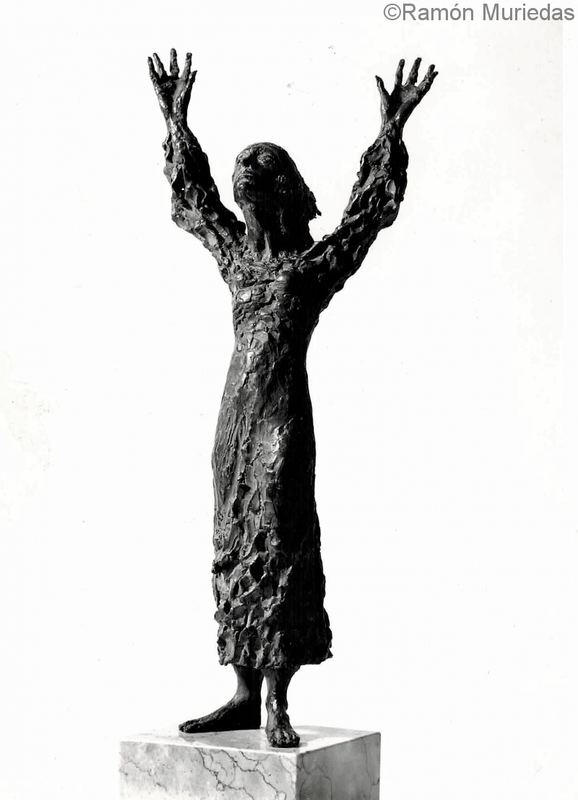 Audience Award from the Galería Serie, Madrid. Csorba Geza, director of the Hungarian Art Museum and art critic, delivered the inaugural words of the Muriedas exhibition. He said that the work of this Spanish artist highlights its power to appropriate the classical experience of European sculpture, which ensures “the perfect and always current unity of the composition (that is, the space), of the molding (that is, the material), and of the emotion (that is, the sentimental fullness) in its statues ». Participates in the Jury of the College of Roads, Canals and Ports. This collaboration will last until the 1996-1997 season. Participa en la Bienal del Humor y de la Sátira en Gabrovo, Bulgaria. Beca de Meritorios en la Academia de Bellas Artes en Roma. Italia. 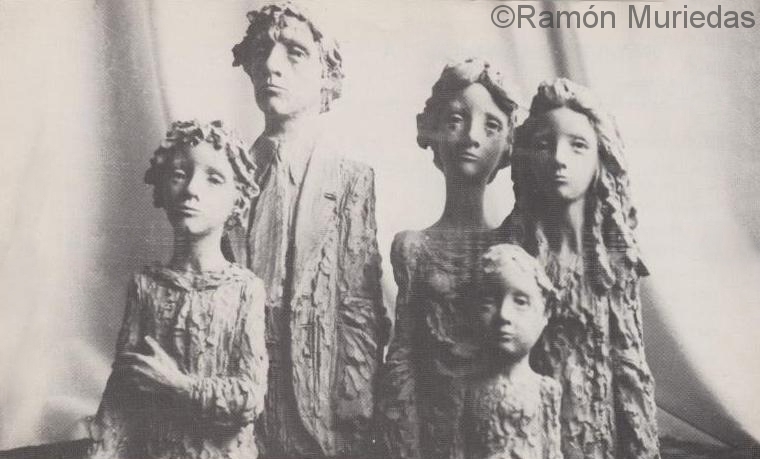 Esposición ” Las artes Figurativas”, Sala de la Casa de Campo”. 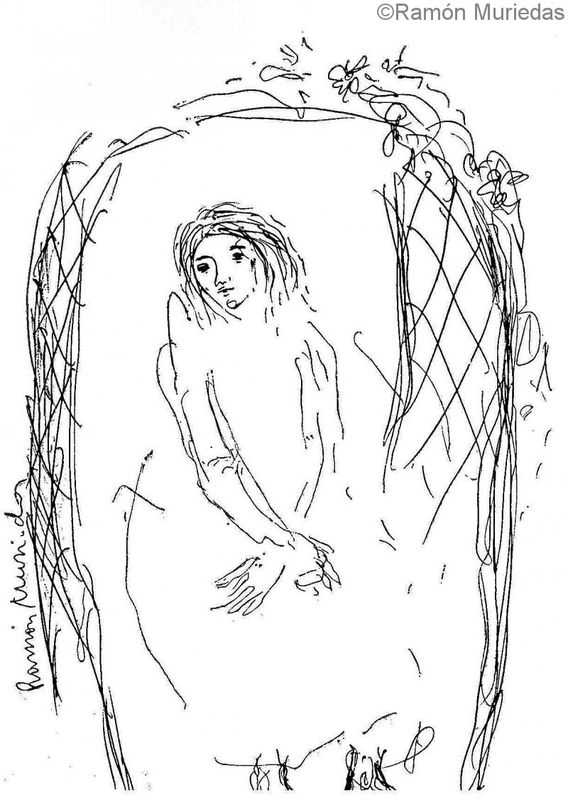 El Boceto en el Arte. Galería Balboa, 13. Madrid. Colectiva en Galería Zanini de Roma junto a artistas encumbrados como Giorgio de Chirico y Sironi, Finotti, Gigliolli, etc. 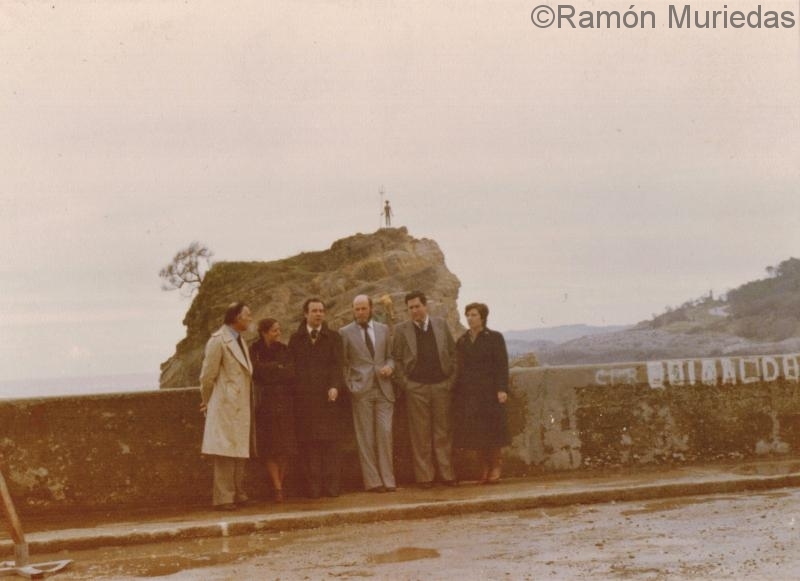 Individual Retrospective Exhibition, Museum of Art of Santander. It is named “Cantabrian Popular” by the Diputación Provincial de Cantabria. Inauguration of the Monument to Leonardo Torres-Quevedo in his hometown. Santa Cruz de Iguña, Santander. Artists for Peace Exhibition at the Crystal Palace. Retirement park. Madrid. Individual exhibition. Artis Gallery. Salamanca. 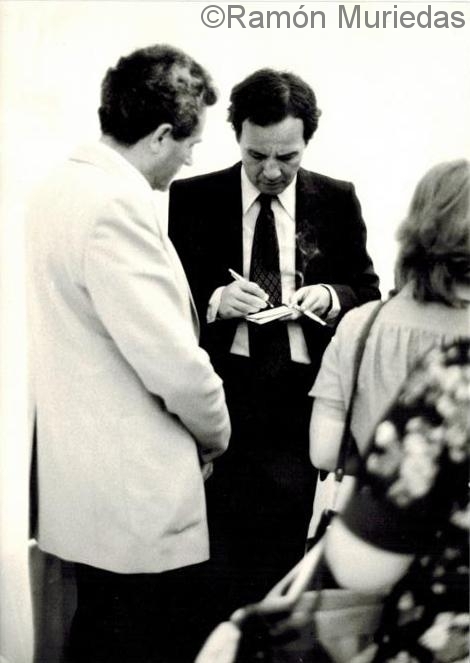 ARCO 1987. Collective with the Gallery Series. Madrid. Individual Exhibition in Houston, Texas, USA. 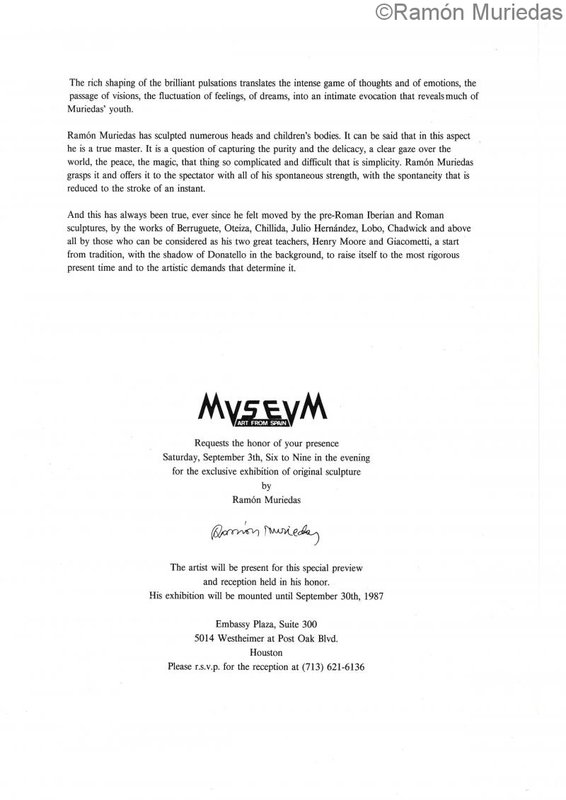 Invitation and presentation of the Houston exhibition. 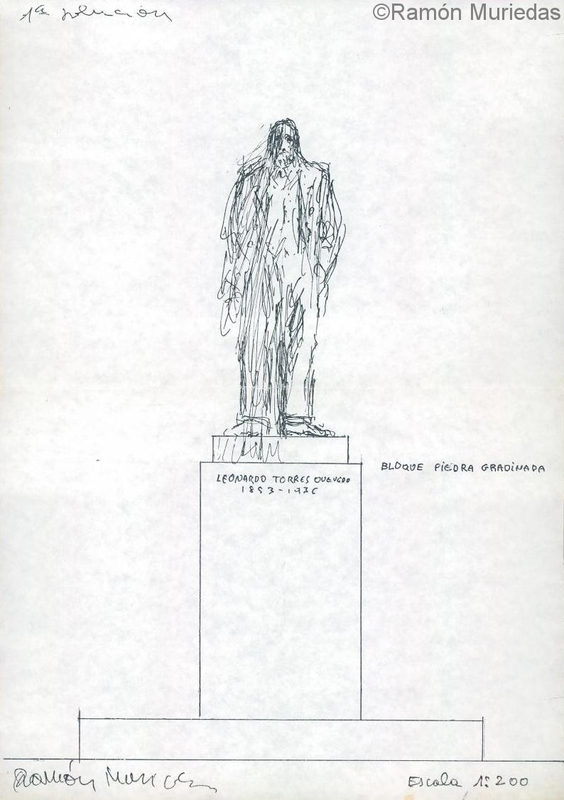 Commission and realization of the Monument to Gerardo Diego. Santander. Queen Victoria Avenue. 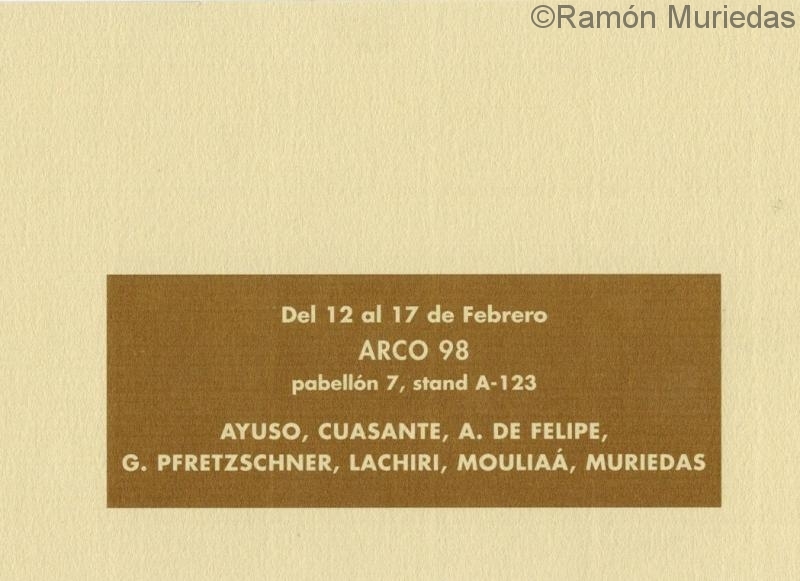 ARCO 1988. Collective with the Gallery Series. Madrid. Exhibition “IV appointment with the Drawing” in the Alfama Gallery. Madrid. Individual Exhibition at the Juan Barjola Museum of Gijón. Asturias. Exhibition “Ten Sculptors”. Fausto Velázquez Gallery. Seville. Collective exhibition. 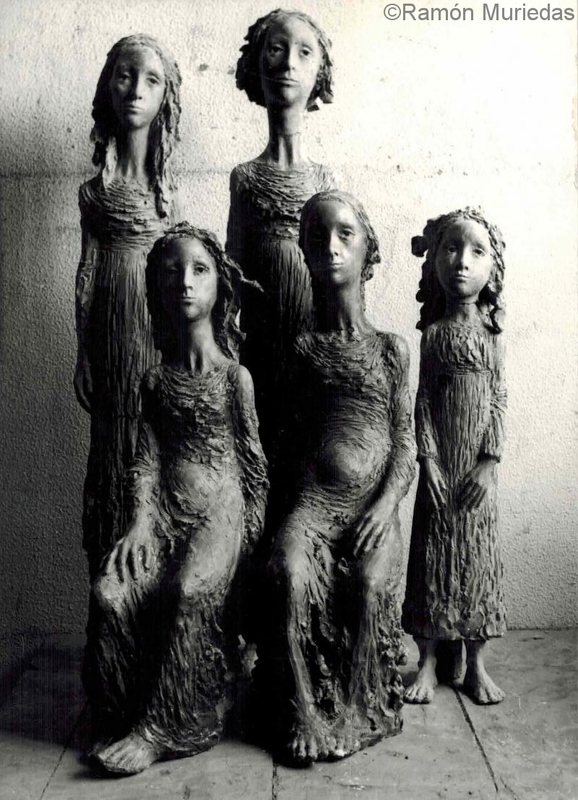 Sculptures in the Leandro Navarro Gallery. Madrid. 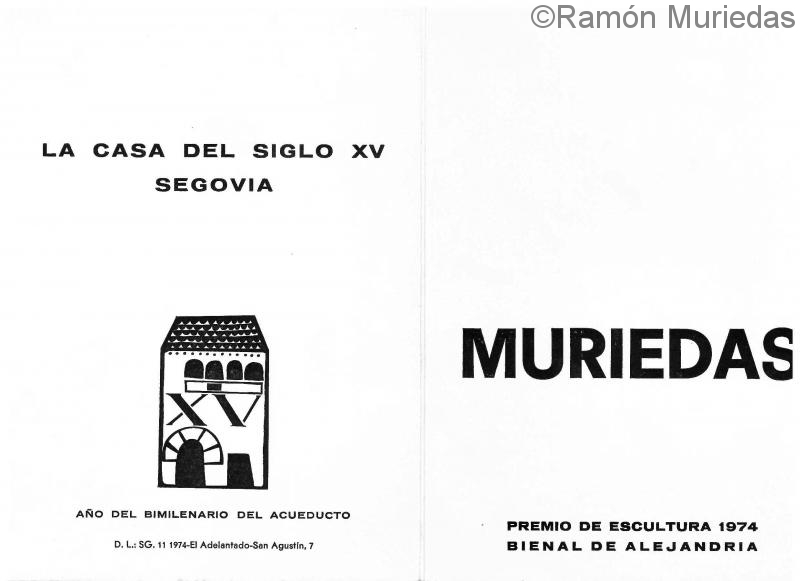 Cover of the Catalog of the Exhibition in the Barjola Museum. He is awarded the Penagos Drawing Prize for the Mapfre Vida Cultural Foundation. It consists of 13 numbered pieces. Individual exhibition at the Antón Museum, Candás. Asturias. Individual exhibition in the House of Culture of Avilés. Asturias. Collective Exhibition with the Gallery Series. The Royal Collection acquires the piece “Niño gordo español” for National Heritage. 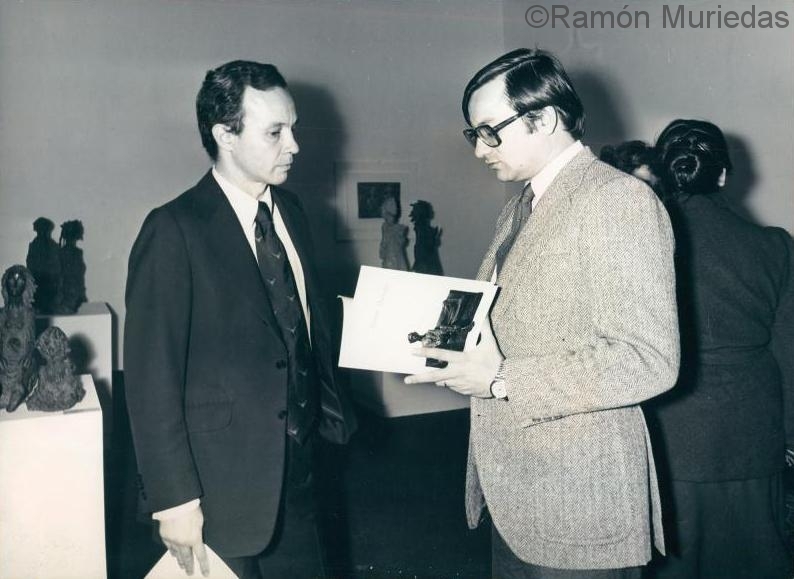 Collective Exhibition “Arte en los años 60”, by the General Directorate of Cultural Heritage. Madrid’s community. Participates in the Jury of the LI National Exhibition of Plastic Arts of Valdepeñas. Participates in the “International Sports Biennial” on the occasion of the Olympic Games in Barcelona. 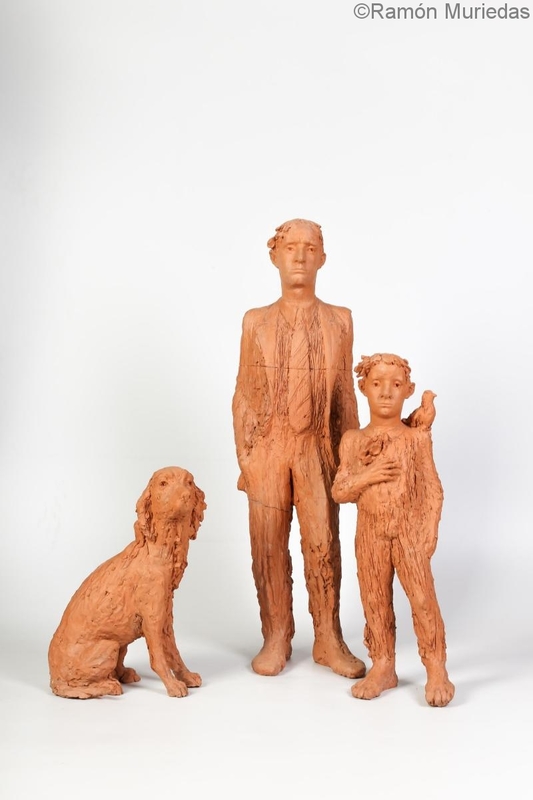 The Superior Council of Sport acquires “Niño trunfador con perro” one of the sculptures presented most valued by the public and critics. Collective Exhibition “Artists of 92” with the Raquel Ponce Gallery. Collective Exhibition in the Gallery “Ra del Rey. 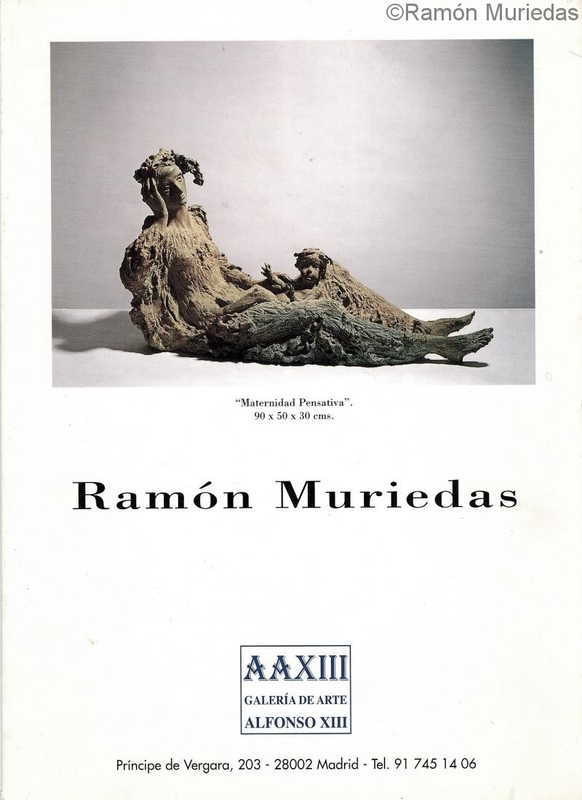 Collective Exhibition Homage to Antonio Rodríguez Marcoida. Make the sculpture tribute to the XV years of Banco Atlántico. Artists of the 92 catalog of the Raquel Ponce Gallery. Participates as Jury in the Coca-Cola Foundation. Realization and inauguration of the monument for the headquarters of the Official State Gazette. Avenue of Manoteras. Madrid. Individual Exhibition. 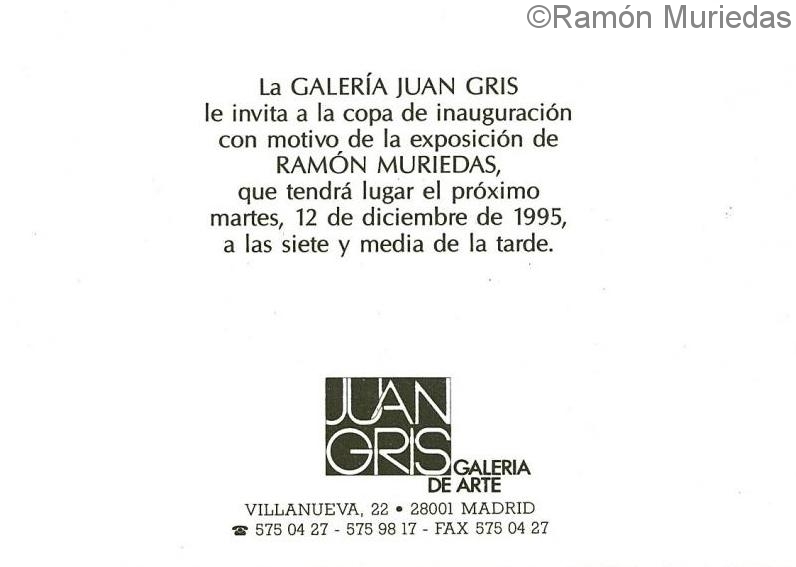 Juan Gris Gallery with great success of public and critics. Madrid. Participates in the Jury of the Coca-Cola Foundation Spain. Individual exhibition at the Fernando Silió Gallery. Santander. Participates in ARCO 1996 with the Seiquer Gallery. Individual Exhibition in the Van Dyck Gallery. Gijón Asturias. Participates in the collective exhibition ARCO 1998 with the Seiquer Gallery. 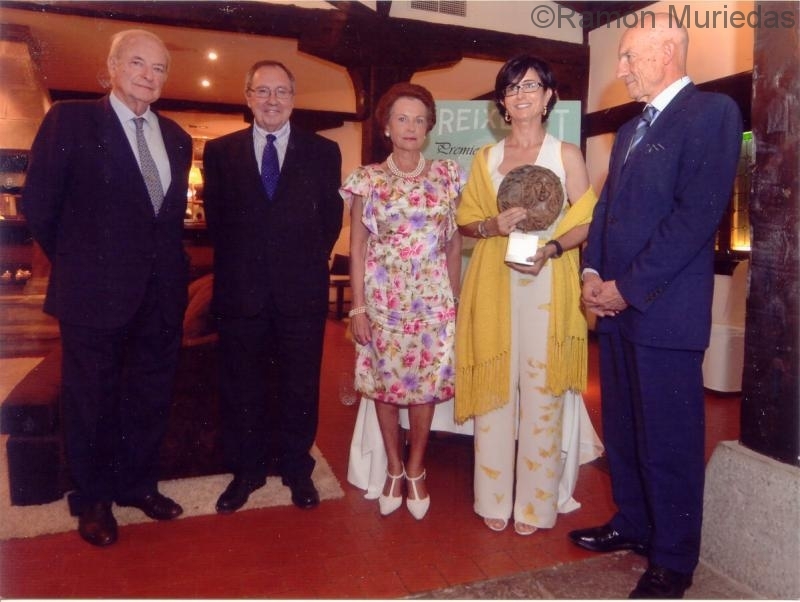 Inauguration of the bust of HRH Doña Mercedes de Borbón, Patron of the New Future Rake. Madrid. He begins his collaboration with the Cultural Association Plaza Porticada. Make the medals of honor that are delivered annually to prominent personalities of the business world, art, politics, etc. 1999-2018. Among the winners are: Peridis, the Botín Foundation, María de Corral, Paloma O`Shea or the Menéndez y Pelayo International University. 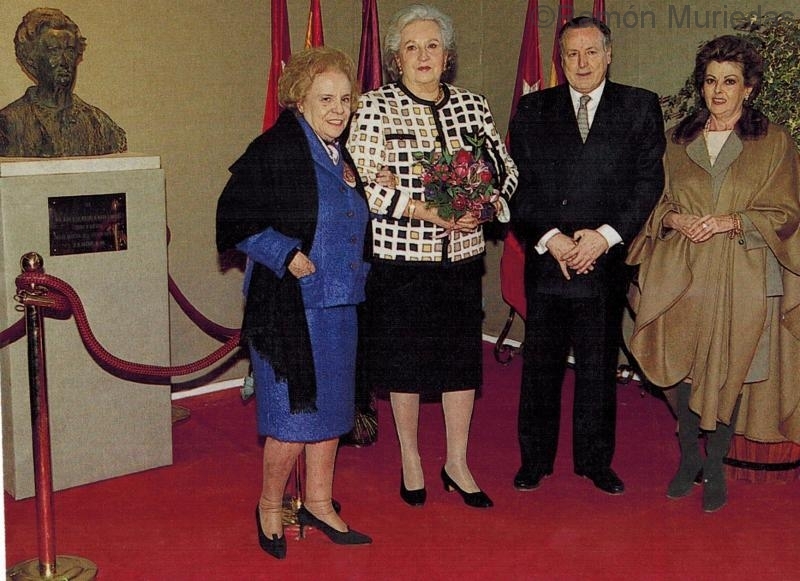 Attending the inauguration ceremony of the bust made by Ramón Muriedas to Doña Mercedes de Borbón, her daughter, HRH Doña Pilar de Borbón, the President of El Rastrillo, Her Excellency Mrs. Carmen Herrero Garralda and the Mayor of Madrid, His Excellency Mr. José María Alvarez del Manzano and his wife. 4th Honor Award. August 8, 2012: Botín Foundation. Doña Paloma Botín O`Shea receives the medal of Ramón Muriedas in the presence of His Excellency Mr. Pedro Crespo de Lara, President of the Jury, on his left. The Mrs. Mrs. Elena García Botín, President of the Association, also appears. 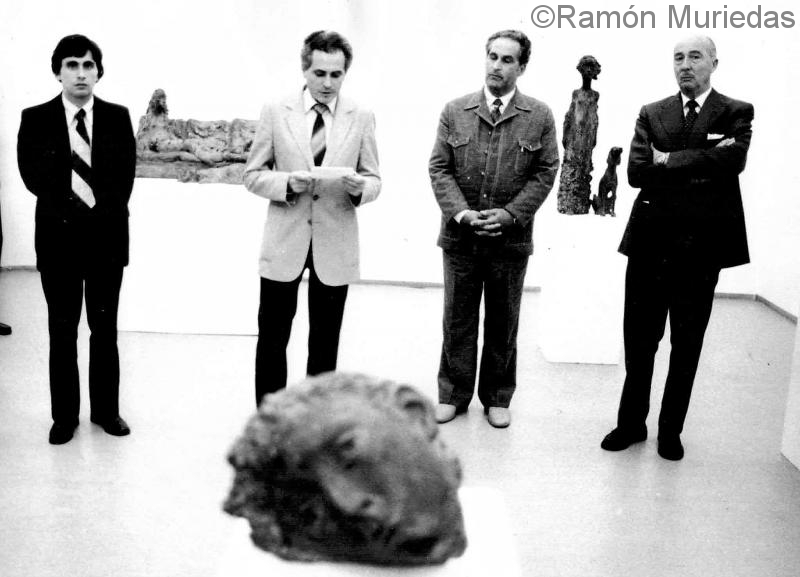 Collective exhibition of great success together Eduardo Chillida, Equipo Crónica, Miró and Tapies, among others. Madrid-Berlin Gallery. Berlin Germany. 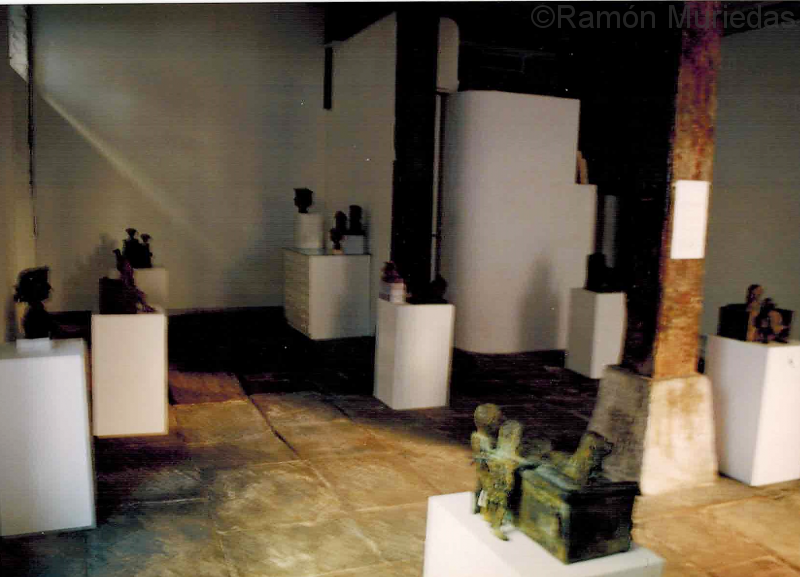 Image of the Fernando Silió Gallery. Santander. Collective Exhibition in the “Vaca Sagrada” Gallery. Madrid. Individual Exhibition. Alfonso XIII Gallery. Madrid. 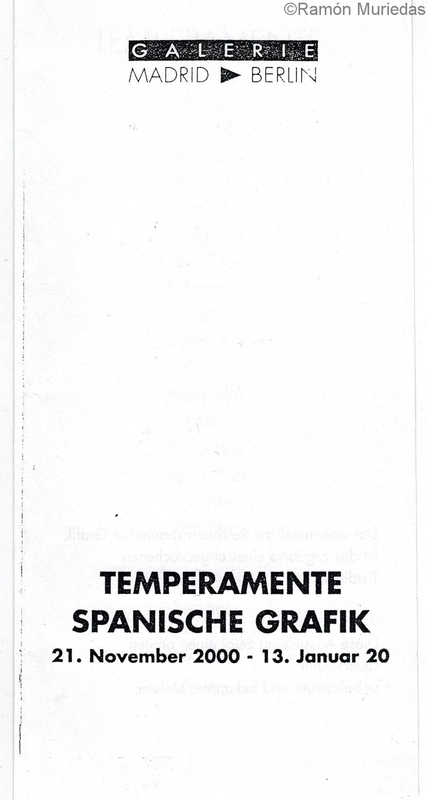 Exhibition catalog at the Alfonso XIII Gallery. Individual exhibition at the Ecoparque de Arnuero. Cantabria.